Last week it was Found Friday #33 – Scottie Pippen – this week, #34. Shaq? Fernando Pisani? 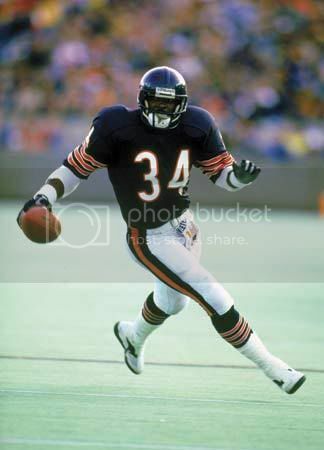 Walter Payton? Your call. You’re all probably wondering what the hell is wrong with me, but this is actually how I remember numbers. Anyway, back on topic: this week’s design finds from the depths of the internet are splendid: tips on speeding up WordPress, a Star Wars typography poster series, awesome Marshall headphones (gotta have music at your desk, right? ), custom dock icons for designers, and a must-read article from A List Apart on Art Direction vs. Design. Read on, readers! WordPress…. a flexible, powerful and all-around-great CMS for many. We use it here and for our clients, so this article on maximizing its speed is a good one for us – and for you too, I imagine! I personally don’t have to use headphones at my workstation (I’M MY OWN MAN!) but many of you might; these awesome Marshall headphones look good, I’d bet they sound great, and they show off how down you are with the rock and rolls. That’s what the kids say these days, right? Bored of your stock Mac dock icons? Hit the link to download some beautiful, free replacement icons – and to watch a video on how to install ’em. This article hits close to home for us; sometimes we’re tasked with art direction AND design, sometimes just design, sometimes just art direction. It’s important to know your role in the project, and this article helps clarify what can sometimes be a murky distinction.